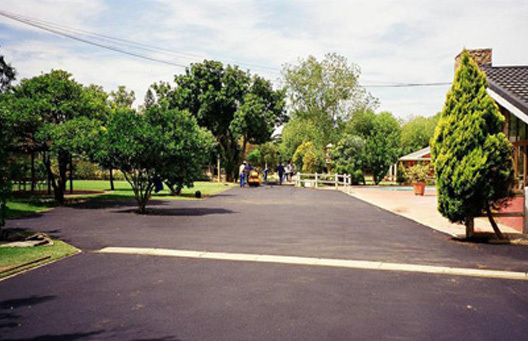 Bitumen surfacing that includes premix, asphalting and tarring of areas such as pavements, residential driveways, etc. 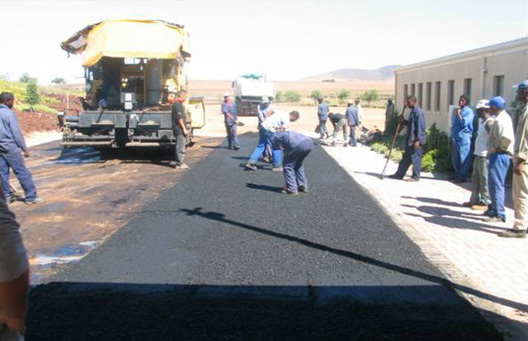 Bitumen surfacing is an application of a hot bituminous layer consisting of mixes of bitumen, aggregate and sand that is applied at an ambient temperature with a machine or by hand. This layer is applied not less than 25mm thickness. The layer that is applied to an existing bitumen surface is called an overlay. The life expectancy of a tarred area is estimated at 10 to 12 years when maintained. Patches: Damaged premix areas will be removed, stabilized, recompacted and tarred with a hot SABS wearing course premix layer. 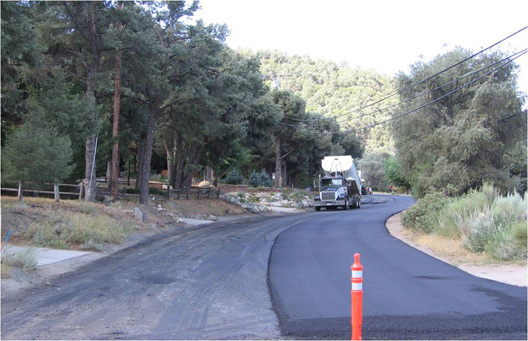 Clients have the option to rejuvenate both the existing premix and the new tar patches with a slurry seal to enhance the complete area with a unified look.